Dolly Parton has done much to aid the victims of the wildfires that raged through Sevier County, Tenn. in November 2016, including setting up the Smoky Mountains Rise telethon, and, through her My People Fund, providing $1,000 each month to Servier County families whose primary residences were destroyed by the fires. At least $3 million from Parton’s My People Fund will be contributed to the Mountain Tough Recovery Team, which will serve the continuing needs of residents during the critical rebuilding period ahead. This program will begin helping families on June 1. Mountain Tough assists individuals and families recovering from the wildfires by providing resources for the unmet needs of low-income families and individuals. 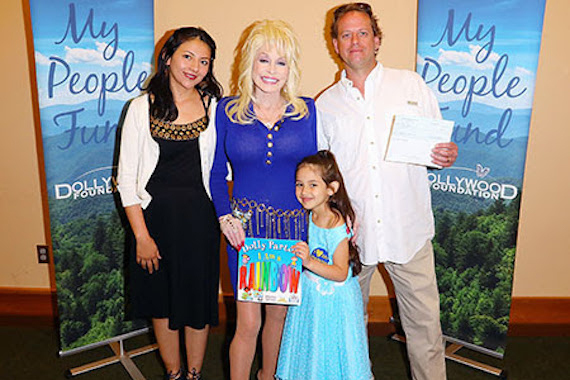 The Dollywood Foundation also administered the final distribution from the My People Fund on Thursday (May 4), with recipients noticing an extra surprise when they received the check. Thanks to fundraising efforts, Dollywood Foundation officials were able to provide a $5,000 check to each family. In total, recipients received $10,000. The fund, which was established by Parton, The Dollywood Company, Parton’s dinner theaters and The Dollywood Foundation, was supported by contributions from across the country, as well as donations made through the Smoky Mountains Rise telethon which took place in early December. Visit www.mountaintough.org for information on how to donate or get involved.